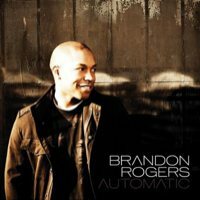 I’ve been producing and mixing an amazing singer-songwriter, Brandon Rogers, who appeared on American Idol’s sixth season. Automatic, his debut album, is chock full of great songs. It’s a pop/R&B album…with lots of soul in Brandon’s voice and in the overall production. Brandon is a former backup singer for Justin Timberlake and Christina Aguilera, and a gifted songwriter in addition to his vocal talents. I’m extremely excited about this album.